Medley Hall was erected in 1893 for Mrs Leah Abrahams by the builder Richard Stockdale to the design of the architect Walter Scott Law. The elaborately decorated two storey rendered brick structure has a two tier arcade. The residence, originally of thirteen rooms, was designed with a free use of classical elements and motifs which has become known as the so-called boom style. The main facade is symmetrically arranged as four bays of two storeys flanking central bay. This central bay appears to project slightly because of prostyle Greek Corinthian and Ionic columns carrying a broken segmental pediment on the ground storey and broken entablature on the first storey. A tower raises the central bay to a third storey. Flanking the tower, the balustraded parapet carries two statues on either side. The interior is richly decorated. Medley Hall is of architectural significance to the State of Victoria. 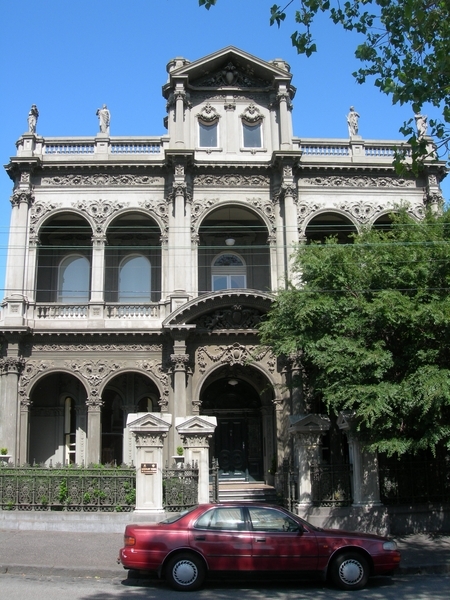 Medley Hall is architecturally significant as one of the most outstanding designs of noted Melbourne architect W S Law. Law was the designer of many elaborate houses and terraces during the so-called ?boom period? of the 1880s, including Biltmore and Drummond Terrace. The profusion of fine stucco work and mouldings, both internally and externally, is unsurpassed and epitomizes the boom period. No. 409 Benvenuta (otherwise known as 'Medley Hall') 48 Drummond Street, Carlton. Benvenyuta was built for Mrs Leah Abrahams, the wife of Henry Abrahams of Abrahams and Co, gunsmiths. Bevenuta was occupied by Mrs Abrahams until 1914 and the family sold the premises in 1949. During the 1920s the family leased the building to the Federal Attorney General's Department. The Italian Club briefly leased it from 1935 until 1937 when the State Government bought Benvenuta and its neighbour Rosaville for 15,000 pounds. 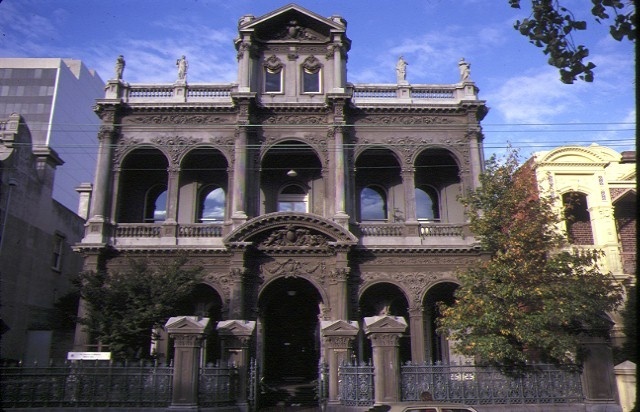 In 1952 the house was presented to the University of Melbourne for student accomodation. The history of Benvenuta/Medley Hall is full of unsubstantiated rumour. Italian craftsmen were supposedly bought over specifically to work on the house. A bullet hole in the Lady window above the stairwell has been claimed as the detritus of Henry Abrahams commiting suicide in the hallway. Alternatively, it has been suggested that the hole was from a gunfight between two 'mobsters'' arguing over a woman ehilst the house was used as a 'bordello' on the 1930s.